At A1 dog grooming and boarding when a dog boards with us we will try to fit all their needs and yours to make them feel more like they are at home. We have A/C and Heating. All concrete floors with chain link fence. The dogs will have country side view and walking area. We groom all breeds and tempers in dogs and cats. We have all type of shampoos and flea/tick treatment like whiting, organic shampoo, flea shampoo, flea/tick dip, and then some. The supplies we use will condition a make your dog's coat shine and will smell wonderful. 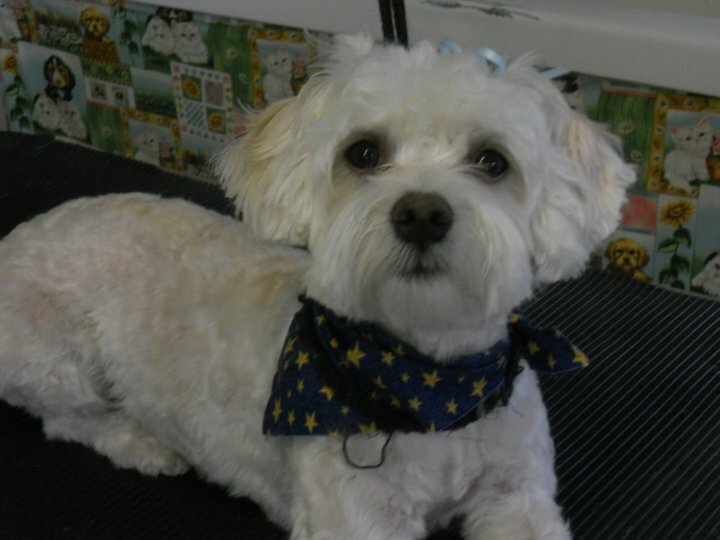 With every groom or bath the dog will come home with a colorful bandanna. Our kennels provides grooming and a safe place for your dog to board while you are way. Our boarding provides inside and outside runs. The runs are 4 ft wide X 6ft tall x 5ft long on the inside. The outside are 4ft wide x 6ft tall x 15 ft long. We clean every morning inside and outside. We wash the runs with water and bleach.We have A/c and heating. We feed to your feeding schedule. Bring your food or use ours at no extra cost. to your dog. Your dog can board ill if it not passed to other dogs and is check out by vet to board. We don't charge extra to give Medication.